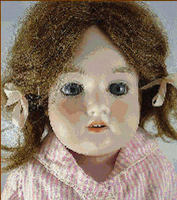 Porcelain Victorian doll by Armand Marseilles to cross stitch. Available for immediate download, in pdf format, with free shipping and handling. 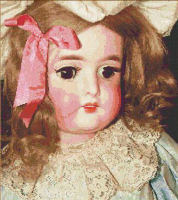 Antique porcelain doll by Armand Marseilles to cross stitch. Available for immediate download, in pdf format, with free shipping and handling. 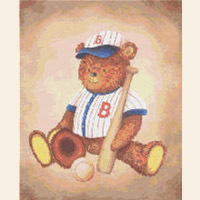 Boston Red Sox baseball team teddy bear with suit, bat, ball and mitt. 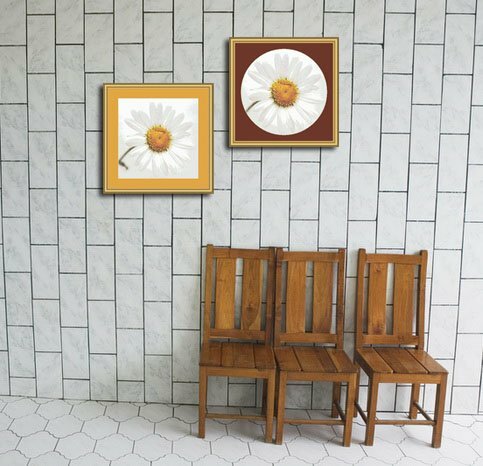 Available for immediate download in pdf format with free shipping/handling. 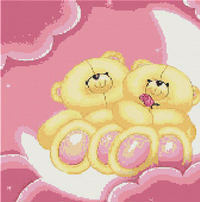 Two adorable Care Bears in the clouds with a rainbow, to cross stitch. Available for immediate download, in pdf format, with free shipping and handling. Adorable pattern with Golliwog doll serving tea to his Teddy Bear friend. Available for immediate download, in pdf format, with free shipping and handling. 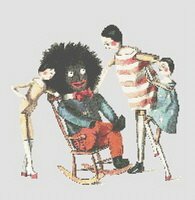 Golliwog in a rocking chair with his wooden doll friends to cross stitch. Available for immediate download, in pdf format, with free shipping and handling. Rose O'Neil's Kewpie doll to cross stitch. Available for immediate download, in pdf format, with free shipping and handling. Raggedy Ann and Andy dolls to cross stitch. Available for immediate download, in pdf format, with free shipping and handling. Adorable hugging Teddy Bears to cross stitch for Valentines or any day of the year. Available for instant download, in pdf format, with free shipping and handling.